REINVENT your every day with a sedan that proves the good life is well within reach. Key in your next adventure and go. Embrace turbocharged power that pushes performance to new levels. And arrive with confidence, thanks to advanced safety features that help keep an eye out. Open some doors and fill an impressive interior with friends. The 2019 Nissan Sentra. Enjoy more of EVERYTHING. Why play it conservatively when you can have more? The sleek, aerodynamic silhouette slips through the wind and turns heads wherever it goes. With a impressively stylish exterior, Sentra cuts through convention. 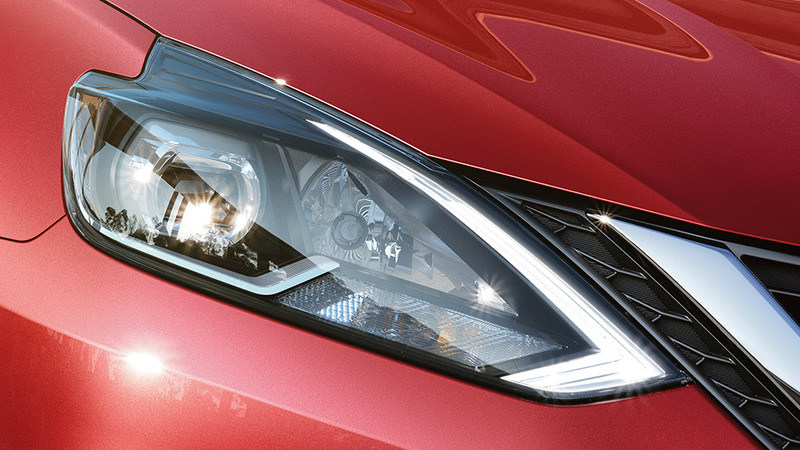 Available LED low-beam projector headlights give you an impressive line of sight, and their jewel-like brilliance makes a fresh, modern statement. Make a statement every time the rubber hits the road. With aggressive spokes, the available 17” alloy wheels provide a sporty touch that brings a track feel to your everyday drive. Bring along some friends, there’s plenty of room. Enjoy seating for five with generous rear leg room. And when it’s time for cargo, Sentra® has you covered with SUV-like flexibility. The 60/40 split fold-down rear seats give you options for people and gear. You can even fold down the front passenger seat, which opens up room for long items like a snowboard. And for an experience both premium and personalized, consider available Dual-Zone Automatic Temperature Control and an 8-speaker Bose® audio system. Performance efficiency and fun – get more of it every day. Sentra impresses with up to 7.3L/100 km highway in a roomy, comfortable car will will change the way you think of your morning commute. An aerodynamic exterior cuts through the air, while the 1.8-litre engine teamed with an available, super-smooth Xtronic CVT transmission helps maximize efficiency and performance. With Nissan's Xtronic CVT transmission, you have a virtually gearless road warrior. It can hold the engine at the ideal rpm for the job, providing a wave of power when you need it and running low rpm for quiet, efficient cruising when you don't. 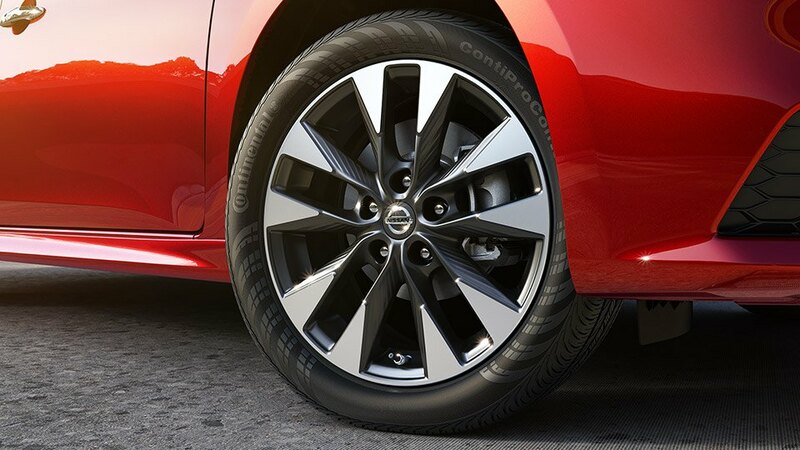 Nissan Sentra's Xtronic CVT syncs up with your demands. Passing? Push down on the gas, and the transmission holds the engine at an optimal rpm for a quick rush of linear acceleration. Cruising at highway speed? The Xtronic CVT transmission holds the rpm nice and low for improved fuel economy. Sentra®'s electronic steering system helps make your drive feel effortless. By making it easier to steer at slow speeds and providing a firmer response at higher speeds, Sentra® puts the control in your hands. Better suspension, better ride. Sentra®'s suspension includes damper tuning to deliver impressive handling. And the chassis is stiffer, allowing for a more fun-to-drive ride with exceptional control. While Sentra SR Turbo features Turbo-specific tuning for better handling at higher performance levels. With available advanced technologies that connect you to the world, inform at a glance, and send help on command, Sentra proves the future gets around on four wheels. Innovative perks – all standard – keep you comfy, connected, and help keep an eye out. And with the available SV Style Package, you'll enjoy bonus features that further transform the way you drive. Stay connected while driving responsibly. Siri® Eyes Free works with your iPhone®, allowing you to access Siri® via a button on your steering wheel. Make calls, send text messages, set reminders and more – all without taking your eyes off the road or your hands off the wheel. 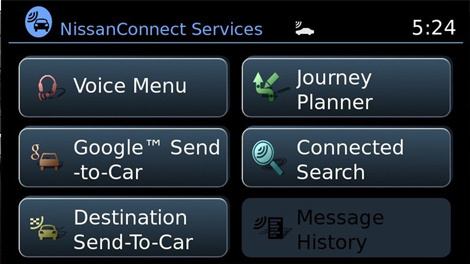 With available NissanConnect Services, you have a selection of plans and services ranging from remote engine start access on your phone to calling for help if the system senses there's been an accident. And customizable alerts help keep you informed of Sentra's speed, and can even be programmed to a set curfew. 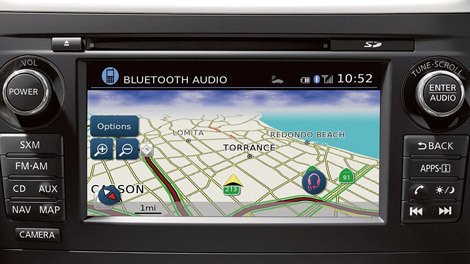 Thanks to Sentra's available navigation system, getting around has never been easier. 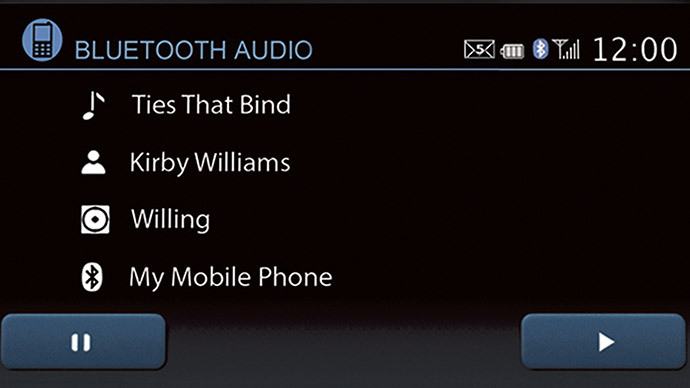 With streaming Bluetooth®, you can listen to all your favorite music. If you can access it through your smartphone, you can play it through your speakers. 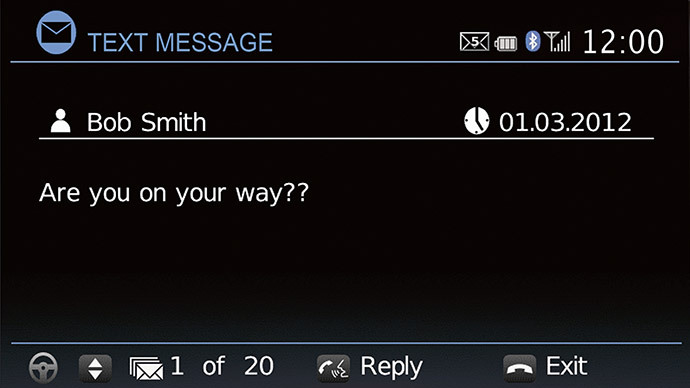 Hands-free text messaging assistant reads your incoming messages aloud right through Sentra®'s audio system. 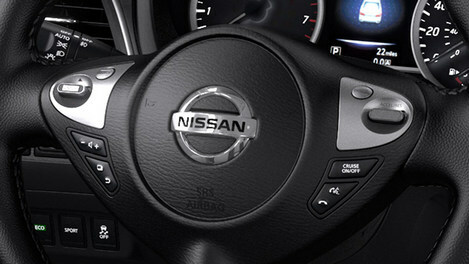 And with Voice Recognition technology, you can easily reply using buttons on the steering wheel. 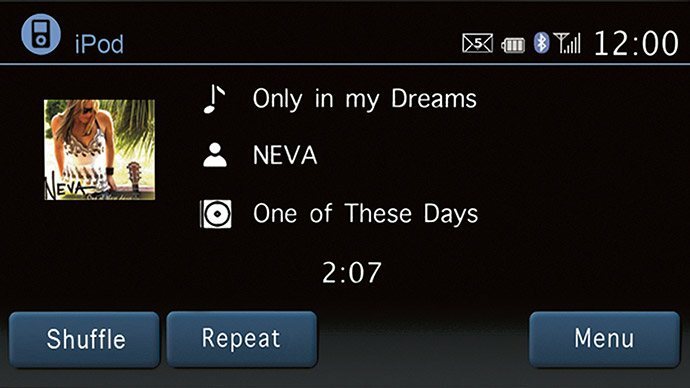 Sentra®'s iPod®/USB input displays album cover art and lets you search through your music using the enhanced Voice Recognition system. All while keeping your hands where they should be. Confidence is along for the ride on all of your adventures. 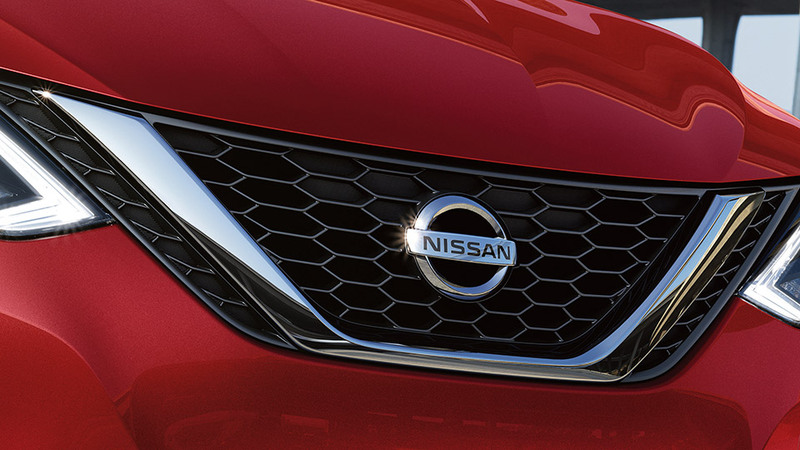 That's because the Nissan Safety Shield philosophy is a comprehensive approach to safety that guides the engineering and development of every car we make. It's our way of looking out for you and yours. Get Your 2019 Nissan Sentra at St. Catharines Nissan.